As per my previous post from Sunday, Top Picks for Autumn Lips, you may have guessed that I’m pretty excited Autumn is now upon us. I featured this in my Outfit of the Evening post from Monday. In the UK, this is probably something you could wear all year round, but being in the hot and sweaty South of France this summer, anything with a high neck and sleeve was too much. But now that the air has cooled down and the sun is lower in the sky, I’m ready to crack this one out. 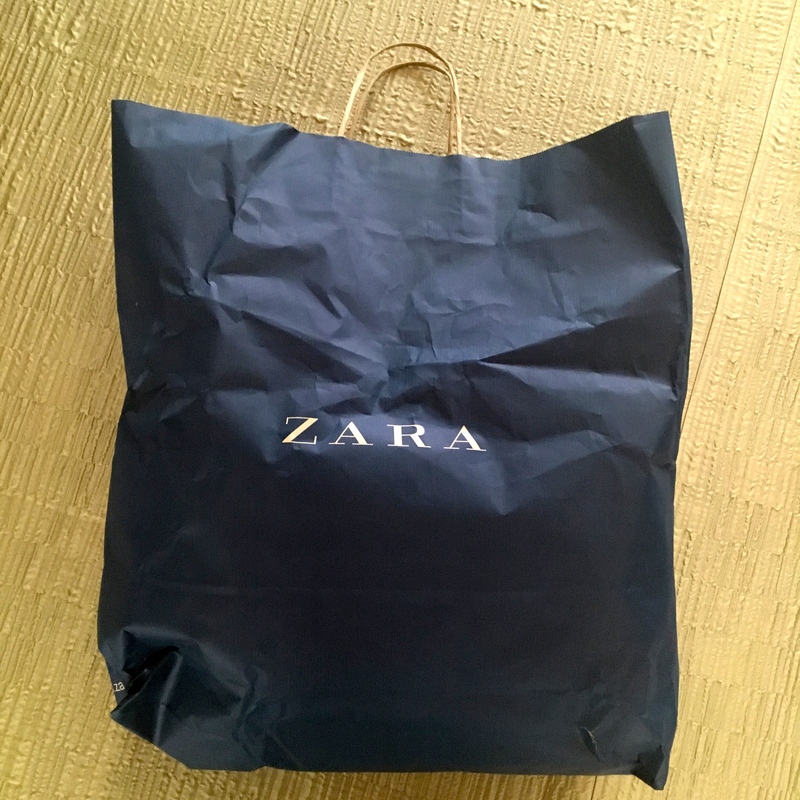 I’ve loved Zara scarves for a long time – they’re big, cosy and oh, so soft. Perfect to wrap around you on a chilly day. I picked up this one in a gorgeous camel colour; so flattering and goes with pretty much everything in my (overly stuffed) wardrobe. I’m off to New York in December (eek!) and wanted something smart, stylish and warm to wear so when I spotted this, I thought it would be perfect. It’s a lovely thick, woolly type of material in an Autumnal khaki green – and almost feels like spanx in dress form, woo! I’ll most likely pair this with some thick, black tights and my favourite chunky heeled ankle boots. You might not be able to tell from the photo but this is a plain, black t-shirt in a thin knitted material. For the moment, it’s still just about warm enough where I am to wear this on its own, but when I’m back in the UK I’ll definitely be teaming it with my leather jacket and new scarf. It’s super soft and cosy, and its simplicity means you can wear it with almost anything and jazz it up with some accessories. Unfortunately, I couldn’t find a link to this on the Zara website but hopefully you can grab one in stores still.